Vibrant local unions and progressive social movements don’t just happen; they are planned for and worked on by people like you - members who care about the future and status of our union, members who care about what kind of future we want for all working families. One way to make a difference in all aspects of our union movement is through standing committees. Local 14 UAW is an Amalgamated local therefore some committees are "Local" and some are "Unit" committees. This means that anyone in any unit can be on a "Local" committee and only members of the particular unit can be members of the "Unit" committee. Powertrain Unit Committees are: CAP, Chaplaincy, Civil & Human Rights, Community Service, Education, Recreation, Women's. A booklet describing the standing committees is also available. The Union Label Committee informs and educates members about the products and services we buy and use as consumers. Same Trip... New Date of Saturday, June 1, 2019! Seats are now available at a first come frist serve basis and payments are due at time of reserving seats. All money must be paid no later than Friday, May 10, 2019. The Local 14/ GM Unit Diversity Civil Rights Committee is hosting a bus trip to the National Underground Railroad Feedom Center Museum in Cincinnati, OH on Saturday, June 1, 2019. Bus leaves at 6:00 AM from the Local 14 Union Hall Parking lot. 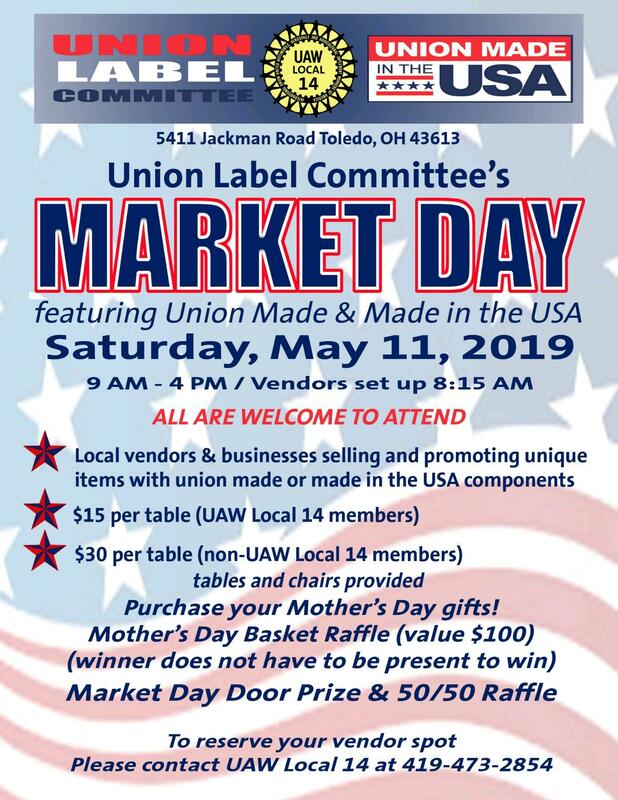 Open to all members of Local 14 and their families. Cost of this trip is $60.00 for ages 13 - Adult, $55.00 for children 4- 12 years and children 3 and under are free. Cost includes roundtrip bus ride, entry to the museum as well as snacks and water.